Hundreds of flights were canceled across the South and Northeast on Wednesday as travelers woke up to a vicious mix of winter weather. More than 700 flights into, out of or within the U.S. were scrapped, according to tracking website Flight Aware, which said that more than 500 flights were also delayed. 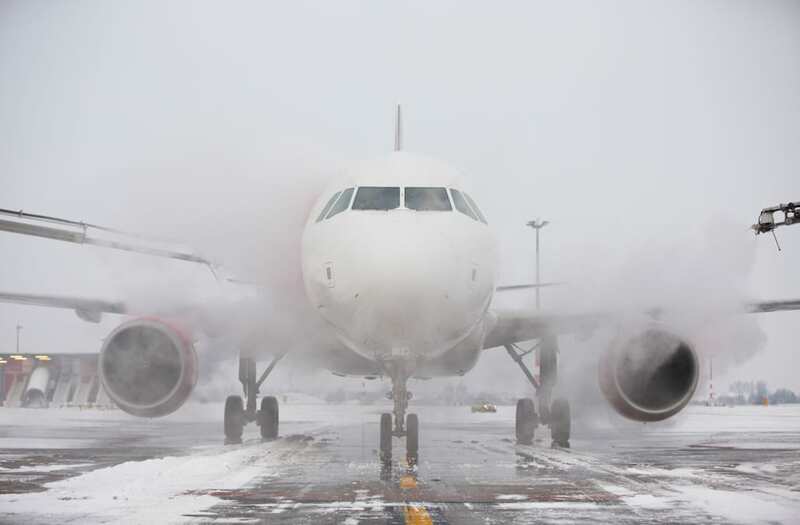 Leading the way in cancellations were Boston’s Logan International Airport and Atlanta’s Hartfield-Jackson, both at the opposite ends of a strip of snow and ice hitting the East Coast. New York City will likely receive up to an inch of snow, according to the National Weather Service. However the South is expected to be hardest hit, with the governors of Alabama, Georgia and North Carolina all issued states of emergency for much of their states. Windchills in some areas are forecast to reach the single digits and below-zero degrees Fahrenheit. Many parts of the South unaccustomed to snow are also expected to receive multiple inches of the white stuff and accompanying snarls in traffic.